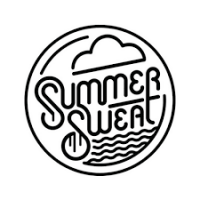 Our 2017 Summer Sweat Challenge kicks off in two weeks! Over the course of ten weeks, you'll earn points for every social run you complete at each of our Raleigh and Morrisville locations. Points = prizes! It's not a race- or distance-specific training program, but rather an opportunity to connect with other members of the local running community to have a group approach to fitness. All paces and fitness levels are welcome! You can read more or register here. For those who are ready for something more serious, we're also offering our popular Summer Speed Series program (Work on strength, speed, and core!) and our Summer Trail Camp (Have some off-road fun!). The next sessions of each start the first week of June. In the meantime, check out these tips for protecting yourself against the summer sun.